It's easy to watch videos that you get from the iTunes Store on your iOS device, but you may not get all your videos from Apple. 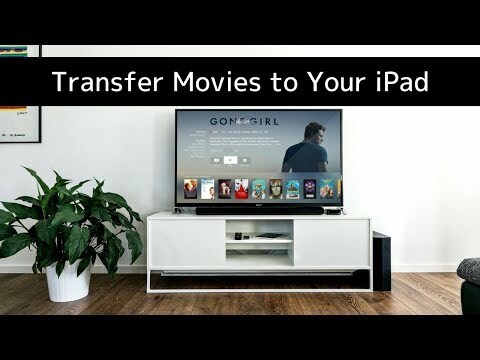 You may have ripped your DVDs or Blu-Rays, and want to watch them on the go, or you may have home videos you want to watch on your device. And you may have videos in formats that iTunes and iOS devices don't support, formats like MKV or AVI. In order to watch these videos on your iPhone or iPad, you probably use a third-party app, such as VLC or Infuse. These apps let you play videos in a wide range of formats, and have plenty of useful features for watching your favorite movies and TV shows. Connect your iPhone or iPad to a computer. Scroll down to the File Sharing section of the iTunes window. Click on the app to which you want to transfer files. iMazing can streamline this process. You will be able to drag & drop your video files quickly and you can even transfer files over Wi-Fi. Select your device in the iMazing's sidebar, then select Apps. Click the icon of the app to which you want to copy videos. Open the app's Documents folder. Drag a file to the iMazing window to copy it. You can even create a shortcut to VLC or Infuse, see this article. 2. Select your device in the iMazing's sidebar, then select Apps. Select your device in the sidebar, then select Apps. iMazing displays all the apps installed on your iPhone or iPad. 3. Click the icon of the app to which you want to copy videos. Click the icon for VLC, Infuse or any other file sharing enabled third-party apps. You'll see one or two items. If you've used iMazing to back up your device already, you'll see a Backup icon. And you'll see a folder named "Documents"; its where you have to push your videos. 4. Open the app's Documents folder. Click the Documents folder. If you've already copied any videos to your device, you'll see them here. You can delete any file you don't want on the device any more; just click a file to select it, then click the Delete button in the bottom toolbar. 5. Drag a file to the iMazing window to copy it. Drag one or more files from your computer to the iMazing window; iMazing copies these files to the app's Documents folder. You can make this copy whether iMazing is connected to your device by a cable or via Wi-Fi if both the device and the computer are connected to the same router. When the copy has finished, you can disconnect your device and watch your video. To reduce the number of steps, you can also create shortcuts to VLC or any other app. iMazing will copy any file you want to an app's folder, but it is possible that the app may not be able to play that video. While VLC and Infuse can play most video formats, there's still a possibility that some files are unplayable. iMazing can't tell which files an app supports, so it will copy all files. Note that you can also copy video files that are stored on your iOS device with VLC or Infuse to another computer using iMazing. Just follow the steps above, and instead of dragging a file to the iMazing window, drag any files you want to copy to a computer from the iMazing window to that computer. So you can use your iPhone or iPad as an external hard drive to transport videos from home to your office, for example.